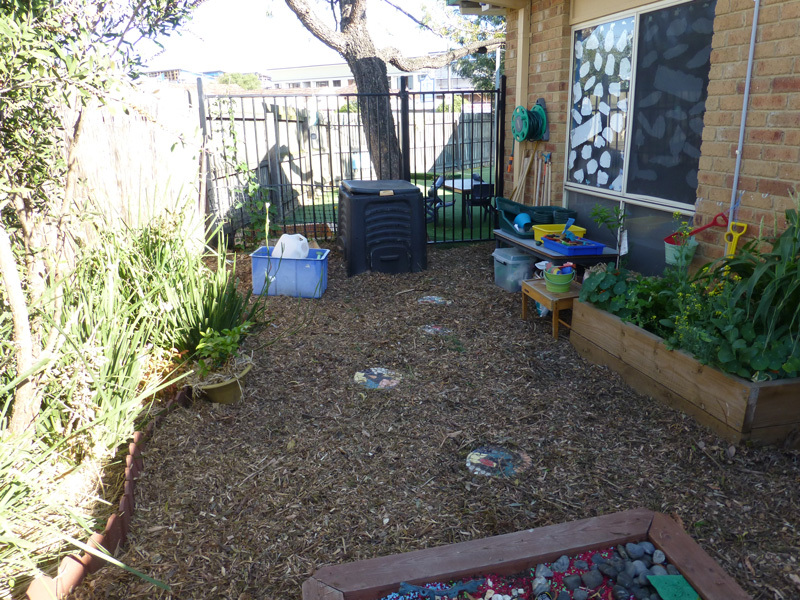 Creating a beautiful, natural play space at Goodstart Early Learning Glenroy for just $200! ensure the garden would remain practical in the long-term, by reducing the amount of effort needed by staff and children to maintain the area on an ongoing basis. The first step was to identify the existing issues or barriers. How did the garden get run down? What’s stopping children and staff from using this space? When we arrived, the grass was up to knee height and most plants in the raised garden beds were dead (except for tomatoes which are very hard to kill). We discovered staff were having trouble maintaining the area, as they didn’t have time to cut the grass or weed the garden. Getting feedback from staff and children was very important in making sure we created an enjoyable, sustainable space. Little Sprouts helped to remove the weeds, rubbish and clean up pots and garden equipment. We found lots of useful tools, seeds and gardening equipment hiding under the long grass, which had been forgotten about. 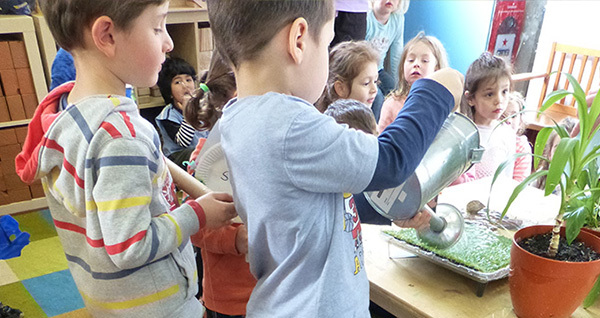 Where possible, we used sealed containers to store essential resources away from children and insects. 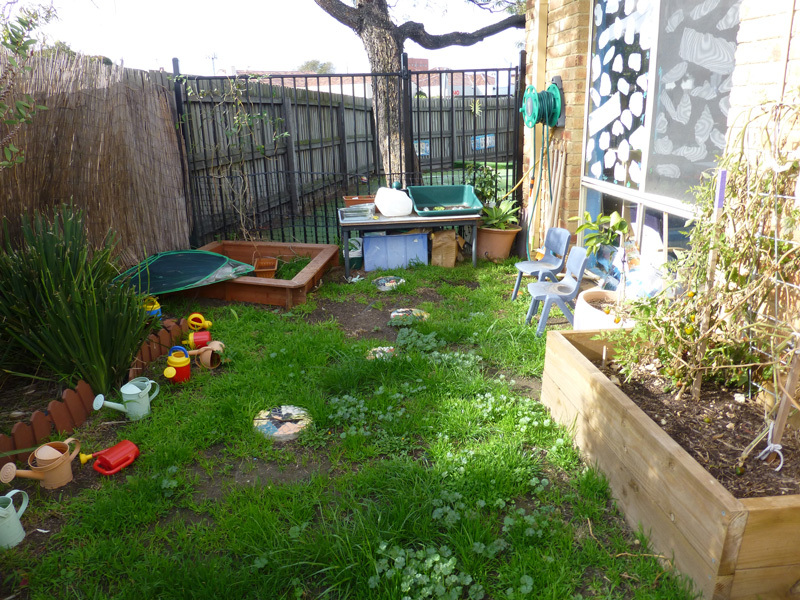 The garden borders on the kinder room, making it challenging for other children and staff in the centre to utilise the space. We cleared access through a fence outside so that children can get to the garden anytime they like. Good soil is essential for growing healthy plants. We topped up soil in the raised garden beds and added compost to increase the nutrients in the soil. After prepping the garden area and making sure it was safe, we got the children involved. 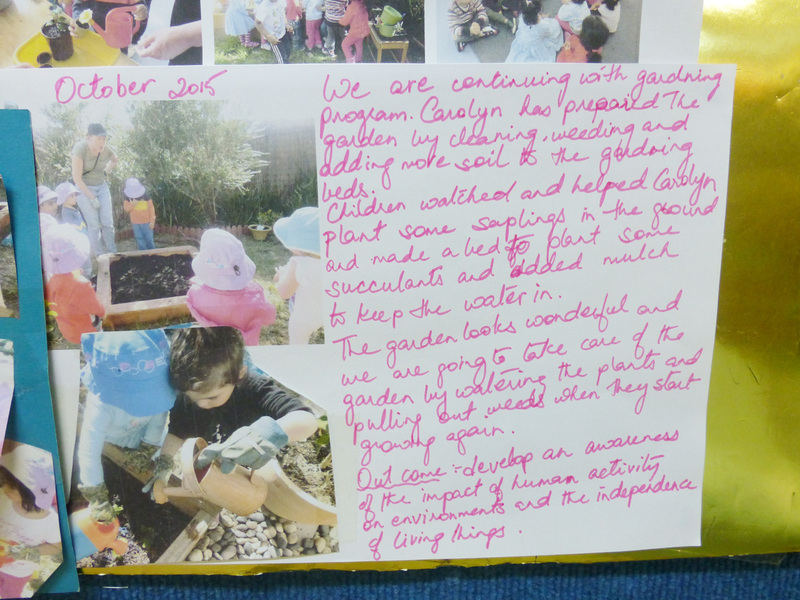 This was an important step so children could gain an interest and responsibility for the care of the garden. 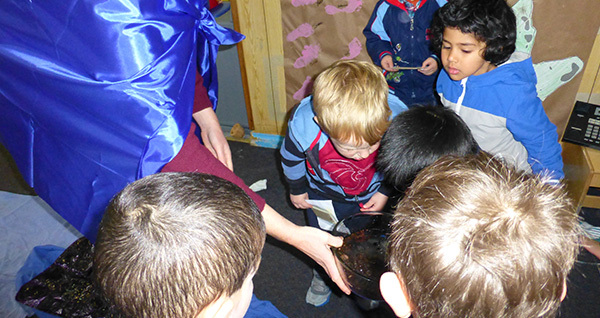 Firstly we engaged children in our Little Sprouts incursions so they could learn about plants, how they grow and what they need to survive. 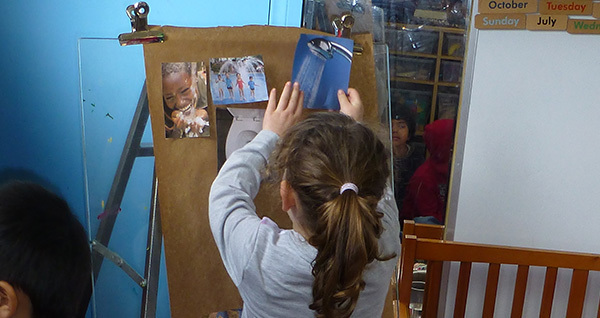 Once the children had this background learning, we were ready to begin planting a sustainable garden. Children learnt how to plant a range of things like strawberries, corn, parsley, oregano and lettuce. 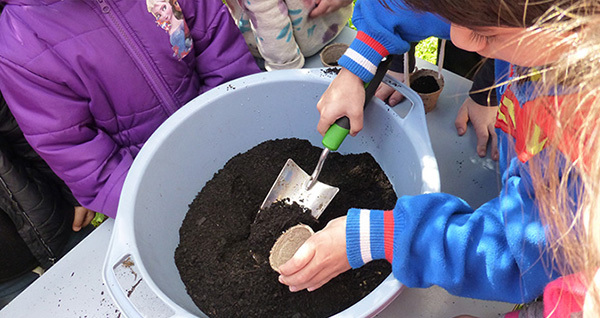 Planting for the season is important to get the most fun and opportunity out of a garden. We also planted nasturtiums for a bit of colour and because they are an ideal choice for planting with vegetables to deter insects. 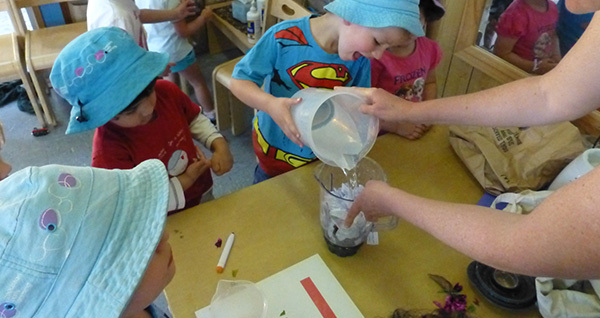 Children took turns watering the plants. 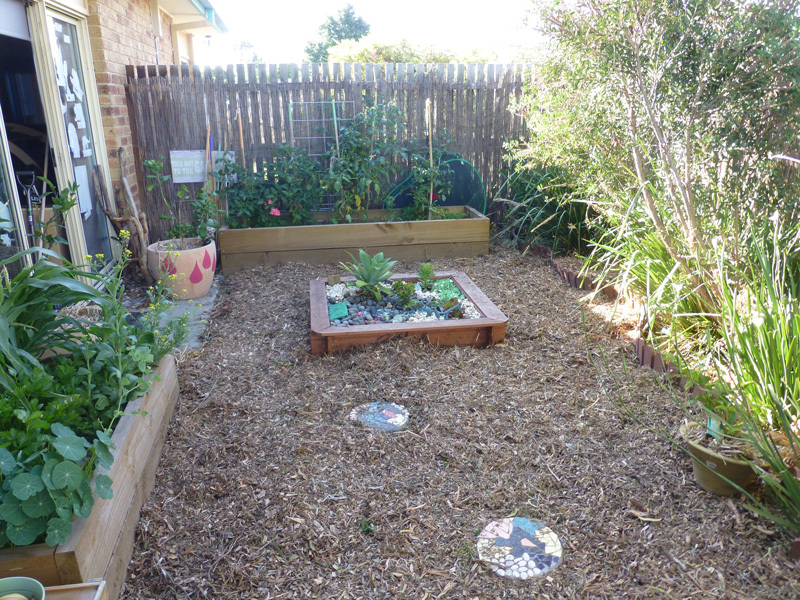 We purchased the plants and mulch for the garden using a generous community grant from Moreland City Council. Children had the most fun planting a succulent garden. This is a great resource for teaching children about water saver plants. 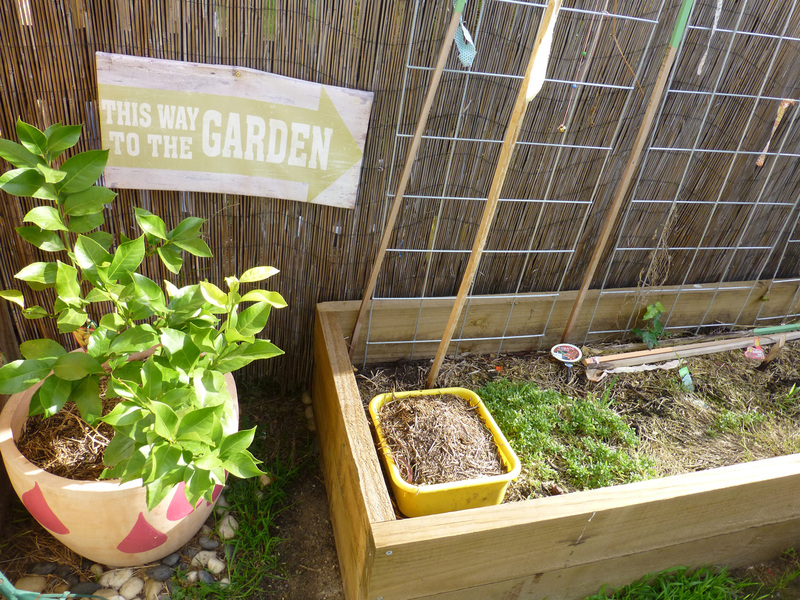 We used an old sandpit box to put the soil and plants in. There is always a way to save money (and produce less waste!) if you try to utilise what you have already. Once the succulents were planted, children used a range of stones in different sizes and colours to create an eye-catching garden design. See before and after shots at the bottom of this post for a look at the final succulent garden! 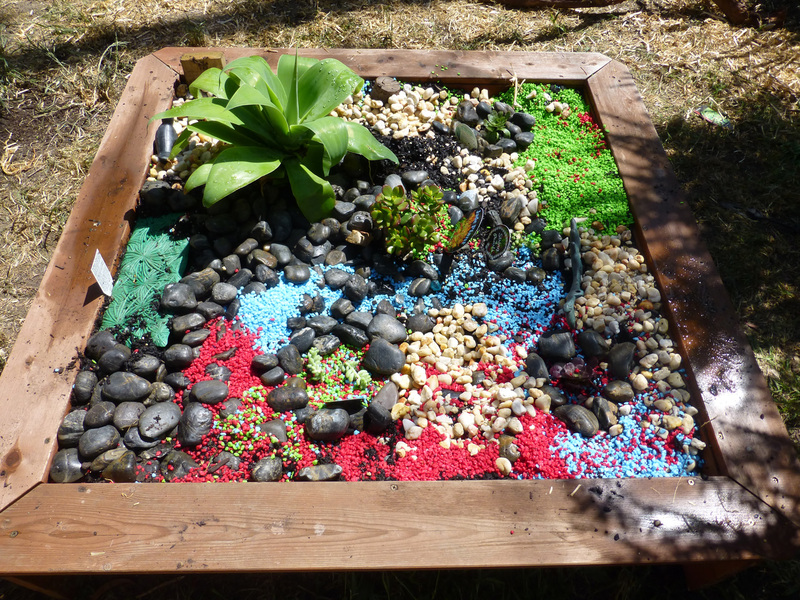 Succulent gardens are a fantastic way to save water and get children involved in a creative project. 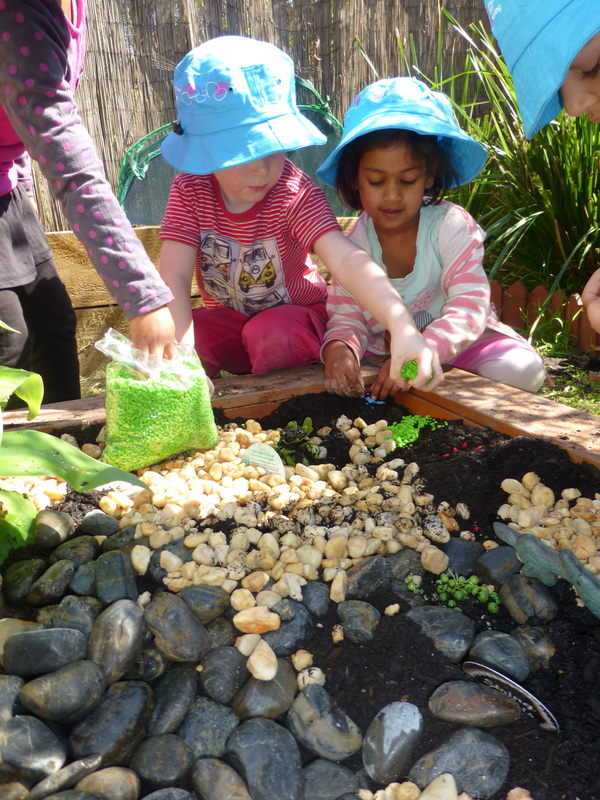 Here, children at Goodstart Early Learning Glenroy design their own succulent garden. 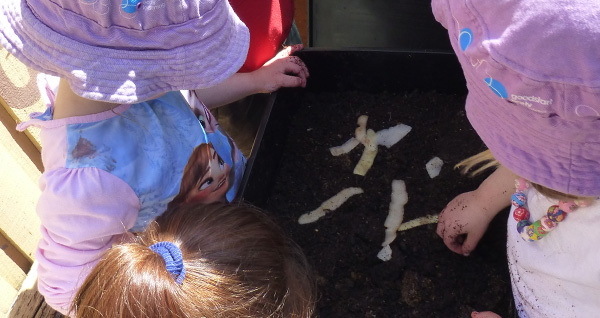 The garden activities linked to the Early Years Learning Framework. 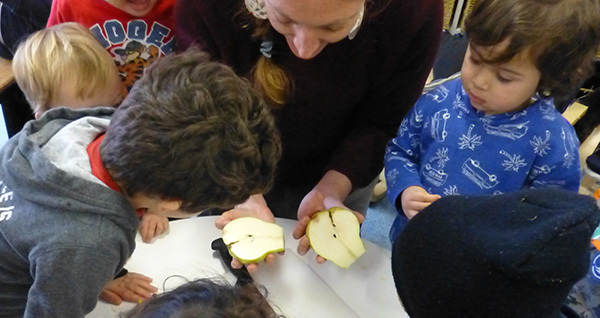 Write up by an educator at Goodstart Early Learning Glenroy. Mulching the garden means staff and children no longer need to water it as much, saving time and water. It also helps to reduce weed growth. Children helped to put pea straw mulch around the plants. Spreading mulch as ground cover in the garden area solved the issue of staff having to maintain the grass. Did you know you can get free garden mulch from Moreland City Council? They provide free bush mulch for residents behind the Council Operations Centre, 40-46 South Street, Hadfield, Victoria. I always love before and after shots so you can see how all the small steps led to big changes. Well yes. It is possible. 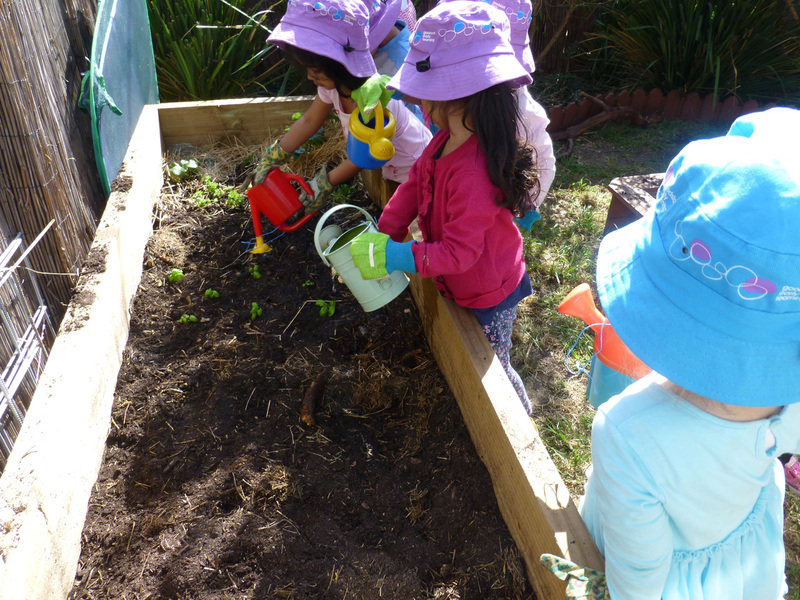 As part of the Little Sprouts Program, Goodstart Glenroy received advice, support and lots of hard work from our Program team to get the garden thriving and staff and children involved. plants, potting mix, compost, a range of seedlings, succulents, cacti potting mix and stones ($185.40 – we purchased this from our local Bunnings store). Find out how Little Sprouts can help with sustainability projects at your centre. 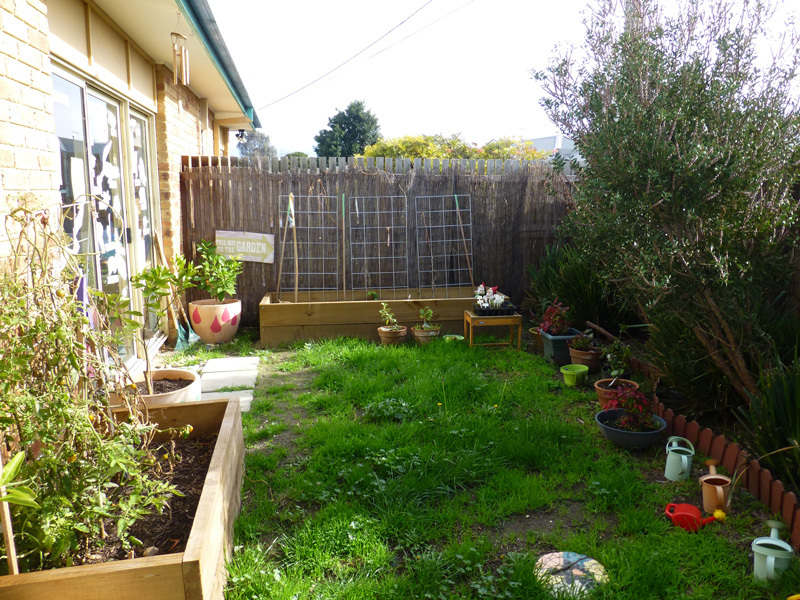 The garden at Goodstart Glenroy is now thriving and staff and children are able to easily enjoy and maintain the area. The children love eating produce from their garden, particularly the corn! The centre has also implemented a compost bin in the learning space so that children and staff can collect food scraps and use the compost to help keep the gardens healthy. 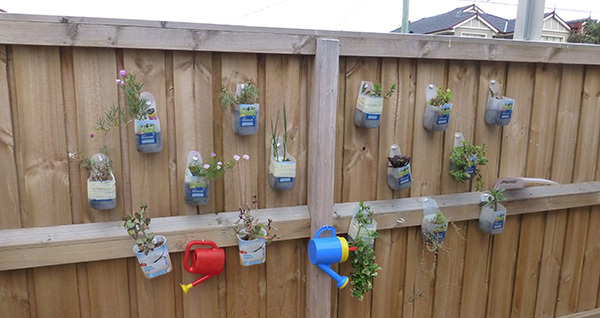 Do you have any tips or stories from garden projects at your centre? We’d love to hear from you.